Blackface minstrelsy in American commercial animation has two fundamental components, performative and visual. Performatively, minstrels are tricksters: in live performances, traditional minstrels played with the boundary between the house and the stage, talking to the audience and drawing them into the action; cartoon minstrels violate the frame of the cartoon itself, either by talking to their audience or by fleeing into the "real" world. Live minstrels engaged in mocking banter with each other and with the Interlocutor, a master of ceremonies who was often white. Cartoon minstrels challenge their creators. Visually, minstrels had blacked-up faces and often wore white gloves. They accentuated their eyes and mouths with makeup to make themselves seem voracious and surprised or fearful. Cartoon minstrels have the same sorts of features, but theirs are drawn on celluloid rather than on flesh. 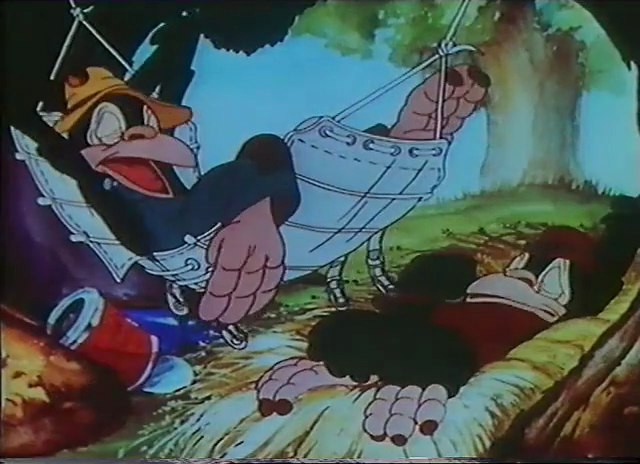 With the coming of sound film, the cartoon minstrel was joined by more direct, and often more vicious racist caricatures. 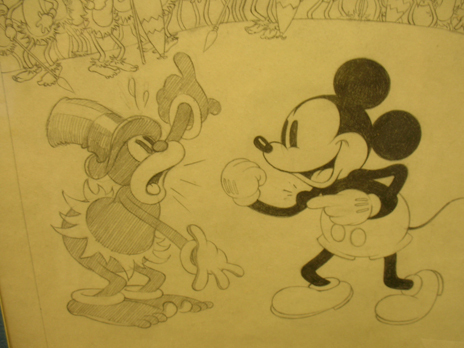 A sketch from Mickey's Man Friday (1935) (courtesy of Animation Resources) captures the similarities and differences between racist caricatures and cartoon minstrels. Mickey Mouse remains a cartoon minstrel, while his cannibal companion represents a common "savage native" stereotype of the day. Felix the Cat creator Otto Messmer has stated that his famous cartoon feline was based on a minstrel character. This image from an article in Moving Picture World (24 October 1925) demonstrates how to mount a live pantomime of Felix. The article explains how a stage actor should perform as the popular cartoon minstrel, offering tips on makeup and performance style. This type of live performance as accompaniment to a film, popular in the mid-1920s, completed the minstrel's circuit from the live stage, to cartoons, and back again. 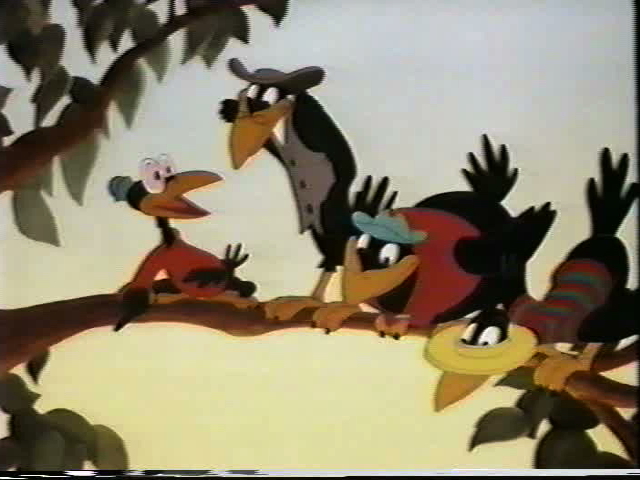 This still from the 1936 MGM cartoon The Early Bird and the Worm uses a routine of the same name by the stage and radio minstrels Moran and Mack. This is a relatively rare instance in which a cartoon character is also explicitly a minstrel. Another example of an explicit cartoon minstrel is Jim Crow and his cronies in Disney's Dumbo (1941). An article in Photoplay magazine (September 1930) explains how a Krazy Kat cartoon got made. The article is also a good example of the public-relations performance of the labor of animation, and of minstrelsy in animation. 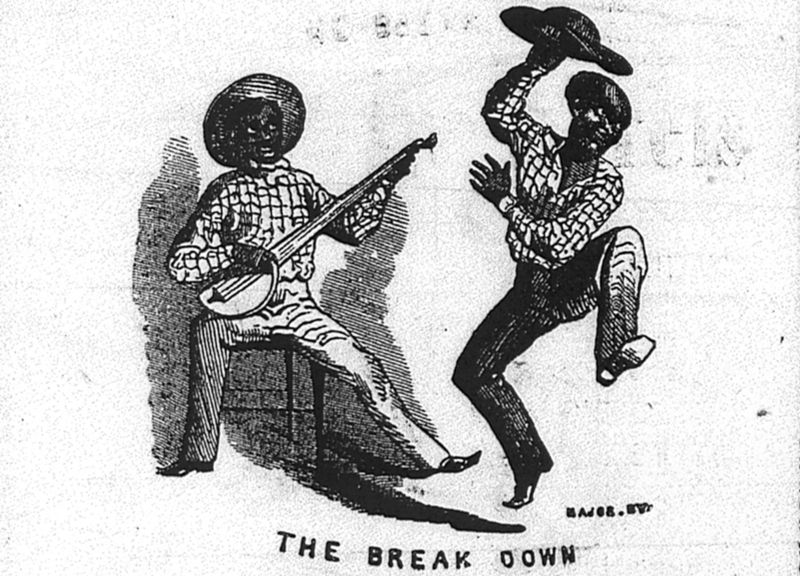 Compare this resonant minstrel image from the 19th century. Version 61 id 444702 of this page, updated 13 September 2015 by Nicholas Sammond. Created by Alexei Taylor.